Losing a loved one is one of the worst experiences that a person can go through. This is especially true in cases when a person passes away in an avoidable accident caused by someone else’s negligence. Although the last thing on a grieving family member’s mind may be money, the reality is that the relatives of accident victims are often left to struggle not only with mourning their loss, but also paying off medical bills, a problem that is made more difficult when the deceased contributed financially to the household. To ensure that those whose loved ones pass away as a result of someone else’s negligent or reckless conduct are able to cover their bills, Florida law permits a victim’s surviving relatives to file a wrongful death claim for damages on their behalf. However, only certain individuals are permitted to file these types of claims, so if one of your relatives recently passed away in an accident that was not their fault, please contact an experienced wrongful death attorney who can ensure that the at-fault party is held accountable. Under Florida’s Wrongful Death Act, the surviving family members of accident victims are often eligible to collect compensation on their behalf to cover the deceased’s final medical bills, funeral and burial expenses, and lost wages. For example, a person can only file a wrongful death claim if the death was caused by someone else’s breach of contract, default, wrongful act, or negligence. 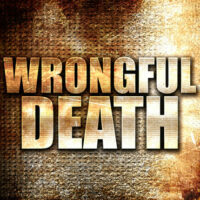 Otherwise, the family members of the deceased will not be permitted to file a claim for damages. Although collecting wrongful death damages can never compensate a person for the unexpected death of a loved one, it can go a long way towards helping families cover necessary expenses and so focus on mourning and beginning the long road to recovery. No one should have to go through this type of traumatic experience alone, especially when it is the result of someone else’s negligence, so if you recently lost a relative in an accident, please call Boone & Davis at 954-566-9919 today to speak with an attorney about filing your own wrongful death claim. Initial consultations are conducted free of charge, so please don’t hesitate to call or contact us online.